There were no great surprises at the Nurburgring this morning, with the usual two teams heading the timesheets and BMW getting amongst them. 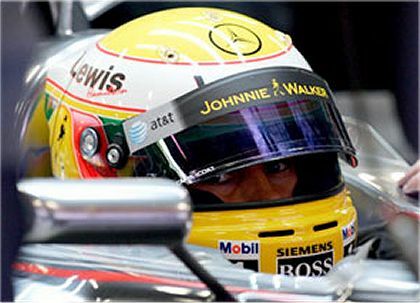 Hamilton led the way for McLaren with Raikkonen two tenths behind and Alonso third fastest. Massa was the only one with minor problems, both BMW drivers separating him from the leading trio. It would be nice if BMW were to remain this close to the Ferraris and McLarens but the likelihood is that they will drop back a little as the others get into their stride. Heidfeld was back in front of his team mate for this session and is on course to re-assert himself as number one therefore. The Renaults were way back amongst the Toro Rossos but this is beginning to seem a pattern with them - slow starts and increasing pace through the weekend. No doubt they will be nearer the front by the end of the day. Confirming his greater confidence with the car in mid-season, Ralf made the Toyota the best of the rest with Trulli not far behind. This too is becoming a pattern, however, and just makes one wonder if the team will ever be able to transfer their practice and qualifying speed into the race itself. Wurz is another who is answering the call to improve his pre-race times and he was a little quicker than Rosberg in this session. If he can just keep that up until Sunday, Williams could begin to deliver on the promise they have shown this season.